Legendary trainer James Bartholomew Cummings (Bart), was a dominant trainer this time of year in his sixty plus years as a trainer, twelve Melbourne Cup to his legacy, an achievement that will certainly never be matched or bettered. Bart was renowned for his quotes and one liners, “Patience is the cheapest thing in racing and the least used,” a prime example. 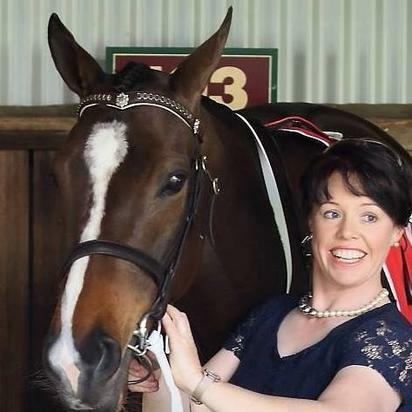 In form horsewoman Allison Sheehan certainly subscribes to that theory, her boutique stable (currently seven) has had three runners in the last six weeks, for three winners. The hard working, very much hands on trainer, prepares her team from her thirty-acre establishment in tranquil Lang Lang, with her horses venturing to the state-of-the-art Cranbourne Training Complex for their workouts. Sheehan’s latest success was Izenashark, who resumed from a spell with Mitchell Aitken in the saddle, when successful at Seymour on Sunday in the Seymour Toyota BM64 Handicap (1200 metres). Promising four-year-old mare El Questro has also been successful recently at Bendigo Racecourse (September 14) in a Maiden (1100 metres) with Nikita Beriman in the saddle. Last time out she was partnered by Luke Nolen when victorious at Geelong (October 4) in a Fillies and Mares BM64 (1240 metres). Six-year-old gelding Izenashark (Sharkbite x Lady Zena) has now raced thirty times for his five wins and nine placings, accumulating stakes for connections of $120,105. El Questro (Lago Delight x El Rayo) has only ventured to the races three times, running a nice third on debut, her happy owners already pocketing $31,500. Sheehan has always had a gift with horses, gained through her upbringing in the show arena where she learned the foundations of caring and presentation of horses for competition. An experienced equestrian and show jumping competitor, Sheehan’s first foray into racing came as an employee of then trainer Caroline Price (then Quilty, now married to Caulfield trainer Mick Price). The wheel has turned the full circle, with these days Sheehan a full-time trainer, and Price heavily involved in the show scene. Further experience was gained working and riding out in England (William Jarvis) and Ireland (Kevin Prendergast). Sheehan graduated to pre-training for then Caulfield trainer Rob Mcguinness and several breeders. Horses prepared and educated by Sheehan joined leading trainers; the likes of Robert Smerdon, George Hanlon and Tony Noonan Racing. In 2001 Sheehan took out her own trainers’ licence, deciding it was time to channel her reputation for second-to-none care and attention to her horses into her own business. Sheehan has always credited her ability to ride horses in trackwork as a huge asset to her operation, being able to accurately gauge the progression of each horse and prepare a work schedule that suits. In 2005, Sheehan’s thirty sixth runner Jo Bangles, was her first winner, successful at Bendigo with Reece Wheeler in the saddle. The wait for her next winner wasn’t as long, with Ravissante saluting the very next day for the Sheehan and good friend Jade DaRose. The ball was rolling, Allison Sheehan Racing was away, and the winners have been coming consistently ever since. Sheehan has now trained fifty-one winners, from four hundred and fifty-four starters, five of those winners in the metropolitan area. The Sheehan stables operate at a respectable eleven percent win rate and a very impressive thirty three percent place rate. Jo Bangles was formerly trained at Caulfield Racecourse by the highly respected trainer Mcguinness, who has been a part owner of many of her winners. It was the prodigy of another former Mcguinness trained mare Danto (Danzero x Neranto) that has provided the stable with a steady flow of winners. Geldings Regibush (three wins), Tackleberry (five wins) and Villa Alvarado (three wins); the latter two city winners. While Danto is also the dam of El Rayo (one win) and now the mother of El Questro. With El Rayo no longer on broodmare duty, it will be left to El Questro to continue the family tradition when she retires from the racetrack, which Sheehan is hopeful won’t be before she racks up plenty more wins. The mare was given plenty of time prior to making her debut in early September. El Questro will head to Ballarat on Thursday for the Hygain Winner Choice F&M BM64 Handicap (1200 metres), with Nolen again booked to ride. "It is great that Luke had previously won on her dam and her uncle in the same colours,” said Sheehan. The best horse that Sheehan has trained thus far in her career is Andrassy (Sharkbite x Pride of Ardrossan, a four-time city winner, and winner of six of twenty-three starts. Andrassy has been confirmed in foal to Dream Ahead, who stands at Aquis Farm in the Hunter Valley. Pride of Ardrossan recently gave birth to a Helmet colt, and has a date booked with Darley stallion Kuroshio.